A few weeks later, on May 14, 1607, they established the first permanent English settlement in the present-day United States about 25 miles (40 km) further inland from the Bay abecame the site of several successive fortifications during the following 200 years. Slightly south, near the entrance to Hampton River, the colonists seized the Native American community of Kecoughtan under Virginia’s Governor, Sir Thomas Gates. The colonists established their own small town, with a small Anglican church (known now as St. John’s Episcopal Church), on July 9, 1610. This came to be known as part of Hampton. (Hampton claims to be the oldest continuously occupied English settlement in the United States). Hampton was named for Henry Wriothesley, 3rd Earl of Southampton, an important leader of the Virginia Company of London, for whom the Hampton River, Hampton Roads and Southampton County were also named. The area became part of Elizabeth Cittie [sic] in 1619, Elizabeth River Shire in 1634, and was included in Elizabeth City County when it was formed in 1643. By 1680, the settlement was known as Hampton, and it was incorporated as a town in 1705 and became the seat of Elizabeth City County. To the south of Fort Monroe, the Town of Hampton had the misfortune to be burned during both the American Revolutionary War and the American Civil War. From the ruins of Hampton left by evacuating Confederates in 1861, “Contraband” slaves (formerly owned by Confederates and under a degree of Union protection) built the Grand Contraband Camp, the first self-contained African American community in the United States. A number of modern-day Hampton streets retain their names from that community. 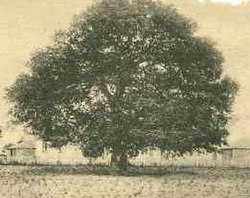 The large number of contrabands who sought the refuge of Fort Monroe and the Grand Contraband Camp led to educational efforts which eventually included establishment of Hampton University, site of the famous Emancipation Oak. Hampton also has a rich and extensive 20th-century military history, home of Langley Air Force Base, the nation’s first military installation dedicated solely to airpower and the home of the U.S. Air Force’s 633d Air Base Wing and 1st and 192nd Fighter Wings. Hampton has been a center of military aviation training, research and development for nearly a hundred years, from early prop planes and Zeppelins to rocket parts and advanced fighters. Its proximity to Norfolk means that Hampton has also long been home to many Navy families. Together many Air Force and Navy families in the Hampton area experienced significant losses both in war and also peacetime due to husbands and fathers in combat and also peacetime military accidents. Hamptons waiting families: The “waiting family” is one of the enduring stories of Hampton and the wider Hampton Roads area as thousands of military families stationed in the Hampton area have long waited for airmen and sailors on deployment both during wartime and peacetime. Consequently, many military families who were stationed in Hampton feel a strong connection to the area. Langley AFB During the Vietnam War: In particular, during the Vietnam War, Langley Air Force Base was a designated ‘waiting base’ and thousands of Air Force families were transferred to Hampton from all over the world in order to wait while their husbands and fathers served in Vietnam. Thousands of Navy families associated with Naval bases in Norfolk next door also waited in Hampton during this era. Vietnam was a very high casualty war for both Air Force and Navy pilots (some types of planes experienced a 50% casualty rate), and Naval “river rats” who fought on the rivers of the Mekong Delta experienced high casualties as well. There consequently accumulated over time, in the Hampton area, a high concentration of families of unnaccounted for wartime casualties. In many cases Hampton-stationed military families of “Missing in Action” or “Prisoner of War” pilots and sailors spent many years in the Hampton area waiting to find out what had happened to their missing or captured airmen and sailors, and so the service and, in some cases sacrifice, of these pilots, airmen, sailors and their families, despite not having lifelong connections to the area, are also a poignant and inspiring part of Hampton’s history. Hampton’s daily newspaper is the Newport News-based Daily Press. Other papers include Norfolk’s The Virginian-Pilot, Port Folio Weekly, the New Journal and Guide, and the Hampton Roads Business Journal. Hampton Roads Magazine serves as a bi-monthly regional magazine for Hampton and the Hampton Roads area. Hampton Roads Times serves as an online magazine for all the Hampton Roads cities and counties. Hampton is served by a variety of radio stations on the AM and FM dials, with towers located around the Hampton Roads area. Hampton is also served by several television stations. The Hampton Roads designated market area (DMA) is the 42nd largest in the U.S. with 712,790 homes (0.64% of the total U.S.). The major network television affiliates are WTKR-TV 3 (CBS), WAVY 10 (NBC), WVEC-TV 13 (ABC), WGNT 27 (CW), WTVZ 33 (MyNetworkTV), WVBT 43 (Fox), and WPXV 49 (ION Television). The Public Broadcasting Service station is WHRO-TV 15. Hampton residents also can receive independent stations, such as WSKY broadcasting on channel 4 from the Outer Banks of North Carolina and WGBS-LD broadcasting on channel 11. Hampton is served by Verizon FiOS and Cox Cable. DirecTV and Dish Network are also popular as an alternative to cable television in Hampton. America’s first free public school, the Syms-Eaton Academy, was established in Hampton in 1634. It was later renamed Hampton Academy and in 1852 became part of the public school system. Hampton High School traces its origin to the Syms-Eaton school and thus lays claim to being the oldest public school in the United States. The trust fund created from the Syms and Eaton donations has remained intact since the 17th century and was incorporated into support for the Hampton public school system. Hampton City Public Schools currently operates the following schools. The original Phenix High School on the campus of Hampton University became Phenix Hall. It was named for George Perly Phenix, a native of Maine who was the first president of the school which became Hampton University. A second Phenix High School was renamed Pembroke High School with the end of segregation, and was closed in 1980. The building now houses the Hampton Family YMCA and social services offices of the Hampton city government. (A third school bearing the name Phenix is the George P. Phenix School for Pk-8th grade in north Hampton, which opened Sept 2011). Y.H. Thomas Middle School is now the Adult Education Center and a community center. The first Sinclair Elementary School was later torn down and is now a site for hotels. Syms-Eaton Elementary School was torn down in the 1970s or 80s and is now a pavilion and a site for town homes in Downtown Hampton. The first Hampton High School became John M. Willis Elementary School, which closed in 1974. Mallory Elementary School is closing in 2010 due to the two new pre K-8 schools and budget cuts. It may become a retirement center or an office building. Robert Sugden (Closed? Was operating in the late 60’s). Robert E. Lee Elementary closed in 2010 due to new schools and budget cuts. As of 2012 the site has become The Campus at Lee. This is the new home of Adult education services as well as Bridgeport Academy. Spratley Middle School was closed in 2010 and was renamed the Spratley Gifted Center, which serves students in grades 3-8 (gifted students were formerly housed at Jones Middle School and the Mary Peake Center). George Wythe Elementary School closed in 2010 and all students were transferred to Hunter B. Andrews School. It is currently used as the Hampton City School’s book depository. Mary S. Peake Center is closing in 2010 due to the budget cuts and will used as an addition to the Y.H Thomas Center. Merrimack Elementary School closed in 2012 due to declining enrollment and budget cuts. Robert Sugden Elementary School is a defunct private schools that was operating in the late 1960s. In the Hampton Roads region, water crossings are a major issue for land-based transportation. The city is fortunate to have a good network of local streets and bridges to cross the various rivers and creeks. Many smaller bridges, especially those along Mercury Boulevard, were named to honor the original NASA astronauts, who had trained extensively at NASA’s Langley facilities. The primary airport for the Virginia Peninsula is the Newport News/Williamsburg International Airport located nearby in Newport News. Originally known as Patrick Henry Field (hence its airline code letters “PHF”), it was built on the site of Camp Patrick Henry, formerly a World War II facility. It is one of the fastest growing airports in the country, and it reported having served 1,058,839 passengers in 2005. The airport recently added a fourth airline carrier, Frontier Airlines, becoming the first new airline to come to the region in over eight years, despite the economic recession conditions. 2010 will likely be the busiest year by passenger count in the airport’s history. The larger Norfolk International Airport (often known locally by its code letters “ORF”) also serves the region. The ORF airport is located near the Chesapeake Bay, along the city limits between Norfolk and Virginia Beach. Seven airlines provide nonstop services to twenty five destinations. During a recent year, ORF had 3,703,664 passengers take off or land at its facility and 68,778,934 pounds of cargo were processed through its facilities. James Armistead, America’s first spy; an African American who provided the information to the Continental Army that Cornwallis was headed to Yorktown in 1781. This led to the forced surrender of Cornwallis. Mary Crow, POW wife and Co-Founder of the National League of Families, nonprofit organization that worked on behalf of Vietnam-era Missing in Action and Prisoner of War Families. Was stationed in Hampton as an Air Force wife when her husband became a prisoner of war and she co-founded the League there. Evelyn Grubb, POW wife, Author, Co-founder and National President of the National League of Families, nonprofit organization that worked on behalf of Vietnam-era Missing in Action and Prisoner of War Families. Helped design the “You Are Not Forgotten” POW/MIA flag that still flies in front of all U.S. Post Offices, most firehouses and police stations, all major U.S. Military installations as well as most veterans organization chapters in the United States. Served as the Leagues liaison to the White House, the United Nations and the Paris Peace Talks. Grubb was living in Hampton as an Air Force wife when her husband became a prisoner of war in North Vietnam in 1966 and founded the league there.